Are you a member of the Big Blue Nation? 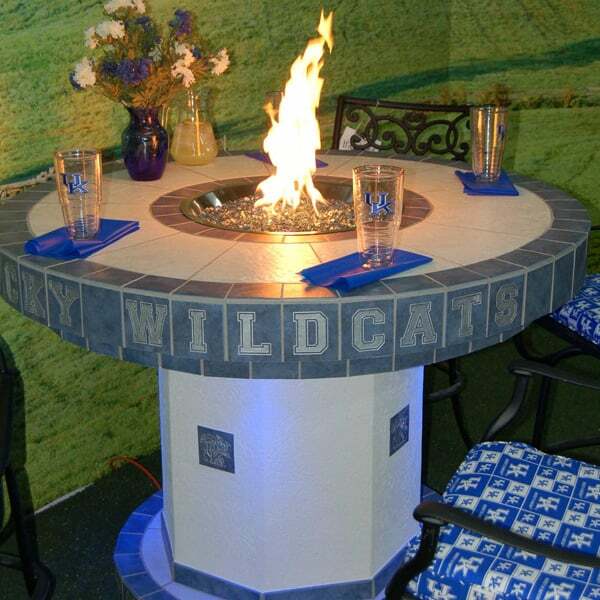 If yes, get ready to bring a bit of Rupp Arena to your backyard with the "Wildcats" Outdoor Fire Pit! This fire pit project is entirely customized, so if you're not a Kentucky fan, then you can change the style and color of the tiles and stucco to match your favorite team or your favorite theme! Outdoor Rooms add another space to entertain, and a propane fire pit allows you to warm up your guests with a simple flip of a switch. Add a Fire Pit that acts as a central focal point, a conversation piece, during game parties, yet offers a place to warm up during the winter months. Bring home the college experience with the "Wildcats" Outdoor Fire Pit Project by Leisure Select! Contact us today!